This region is one of the smallest and most remote regions in Italy in the sense of tourism since it has only recently become of interest to more visitors. This makes the region a great place to come to relax and get away from some of the more touristy regions if you are interested in a relaxing vacation. Isernia which is near the western border of the region and Termoli which is on the coast. The distance from north to south at the regions longest point is about 62 miles, from east to west is 85 miles and the region has about 35 miles of coastline. 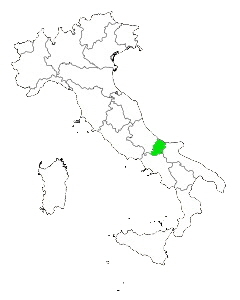 Molise has four regional neighbors which are Abruzzo to the north, Apulia to the south and both Lazio and campania to the west. been turned into resort areas. There are a couple nice resorts one of which is near the town of Petacciato Marina and the largest beach resort in the region is near the town of Termoli. Being one of the lesser known regions of Italy Molise counld be a vacation for someone who wants a very low key and relaxing trip away from the crowds, sights and congestion of the big cities.